Carl's Jr. releases the new Fiery Chicken Sandwich All Star Meal as a new option for their menu of All Star Meals. The new combo meal features the new Fiery Chicken Sandwich, which consists of a spicy chicken patty, melted pepper jack cheese, pickled jalapenos,lettuce, and mayo on a toasted bun. The chicken sandwich is accompanied by a small order of fries, a small drink, and a chocolate chip cookie. 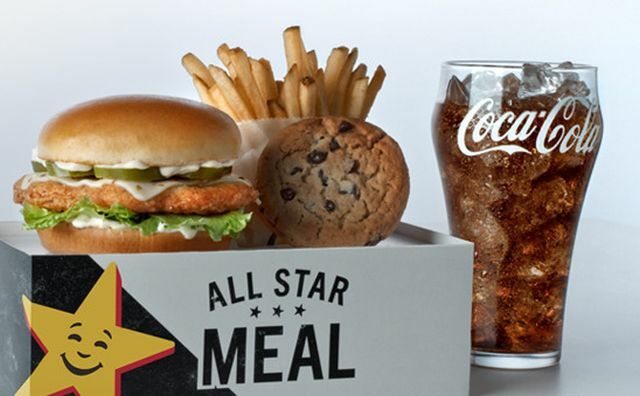 Prices for Carl's Jr.'s All Star Meals start at $5 (varying with location).